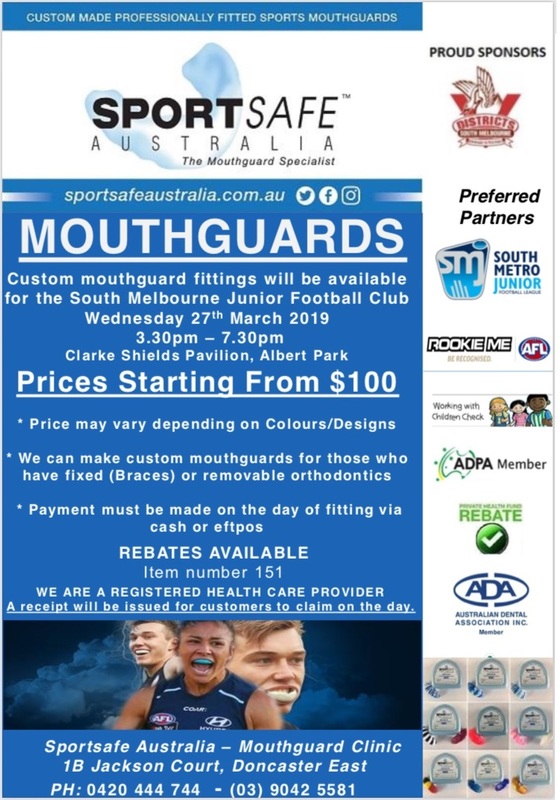 Custom mouthguard fittings will be available for the South Melbourne Junior Football Club. Fittings conducted by SportSafe Australia. Private health rebates available.